Stuart Robert, a member of parliament from Australia, denounces BDS movement, says it is anti-Semitic and blatantly racist. 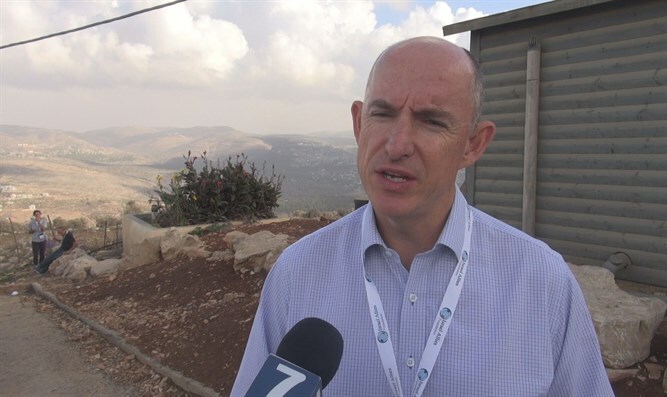 Arutz Sheva spoke to Stuart Robert, a member of parliament from Australia, who was in Israel as part of a delegation of 27 members of parliament from around the world. The MPs took part in the 6th annual Israel Allies Foundation Jerusalem Chairman’s Conference, which focused on the 50th anniversary of the liberation and unification of Jerusalem and on instituting a new definition of anti-Semitism to include anti-Zionism, in countries around the world. Israel “is the only free democracy in the Middle East. Only here, only in Israel, do you see that right across the entire the Middle East. That's something that we in Australia should stand for very strongly,” said Robert. He spoke out against the anti-Israel Boycott, Divestment and Sanctions (BDS) movement and said that it should be condemned.